The app-based transportation service Lyft is adding security measures, not long after a student at the University of South Carolina was killed after mistakenly getting into a car she thought she had hailed. Lyft's new policy requires its drivers to pass a background test at least every 12 months, as well as requiring drivers to take selfies to ensure they are who they say they are. The new security measures were announced Monday. Continuous background checks have been in place at Lyft rival Uber for about a year, a spokeswoman said. The feature notifies the company if a driver is newly charged with a crime. Another application rolled out in 2016 prompts drivers to take a selfie before picking up riders. Uber's technology then compares that image against its records to make sure the correct person is behind the wheel. "Uber is constantly working to raise the bar and help make our communities safer," the company said in a statement. As the two giants of ride-hailing try to nudge out the other, encouraging a positive public perception has become one way of earning the trust of riders. Americans who have ever used a ride-hailing app jumped from 15 to 36 percent between 2015 and 2018, according to Pew Research Center. Only 3 percent of American adults have never heard of the services before. Meanwhile, initial public offerings from Lyft and Uber have been among the most hotly anticipated of 2019. Lyft made its IPO in late March, beginning at $72 per share. Uber is expected to go public next month. Charleston was also one of the areas where Uber tested a partnership with local dispatch. That feature will send the app user's location in real time if they dial 911 during a ride. A Charleston County spokesman said the feature hasn't been used since it launched a year ago, but staff "believes having the option available is still a beneficial safety measure." Uber said in a recent filing ahead of its initial public offering that it plans to release a safety report sometime this year. The report, which will disclose information about sexual assaults and other incidents, could lead to negative press coverage and "adversely affect our reputation with platform users," according to the document. News of Samantha Josephson's death attracted national attention. Josephson, 21, was killed following a night out with friends in Columbia's Five Points area on March 29. A suspect was arrested the morning after. A new requirement for ride-hailing services to use lighted signs in their windows soon followed. The S.C. House passed a bill to that effect last week. Lt. Heath King of the Charleston Police Department said the department supports anything that would promote the ride-hailing cars' visibility. The city enacted an ordinance that keeps Uber and Lyft vehicles away from King Street during the nightlife's peak hours late on Thursday, Friday and Saturday nights. It is mostly designed to alleviate traffic and let first responders pass. King said officers working downtown are familiar on a personal level with most of the drivers who pick up passengers in the middle of the night. This improves public safety as well, he said. A number of incidents even in the Charleston area have caused concern about the apps. A West Ashley parent sued the school district late last year when her 5-year-old was mistakenly picked up from school by a Lyft driver. 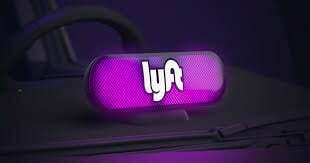 Lyft said in a statement then it is against the company's policy to ever pick up a minor without an adult, and the driver had been contacted about the rule. And in a 2015 case, an Uber driver pleaded guilty to assaulting a woman in his car. King recommended caution, and suggested riders make sure to at least check the vehicle's tags before jumping inside. "Just be alert," he said. "Use situational awareness. It doesn't hurt to triple check."